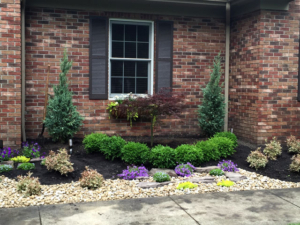 Bela’s Landscaping, LLC is a landscape / design / build company serving the Southeast suburbs of Cleveland for over 20 years. We strive to go above and beyond our customer’s expectations. From landscape installation to maintenance, we design and plant perennial flower beds, build rock gardens as well as retaining walls. Bela’s Landscaping, LLC can create a pleasant outdoor atmosphere for our customers to enjoy during the seasons of Spring, Summer and Fall. No matter how big or small, it is an important step for you, as a property owner, to select a trusted landscaper to bring your vision to life. We provide a responsive service that takes into account your individual needs and desires.